I apologize, but I can’t remember where at Hollywood Studios I saw these, but they are great pieces, so I wanted to share them today. 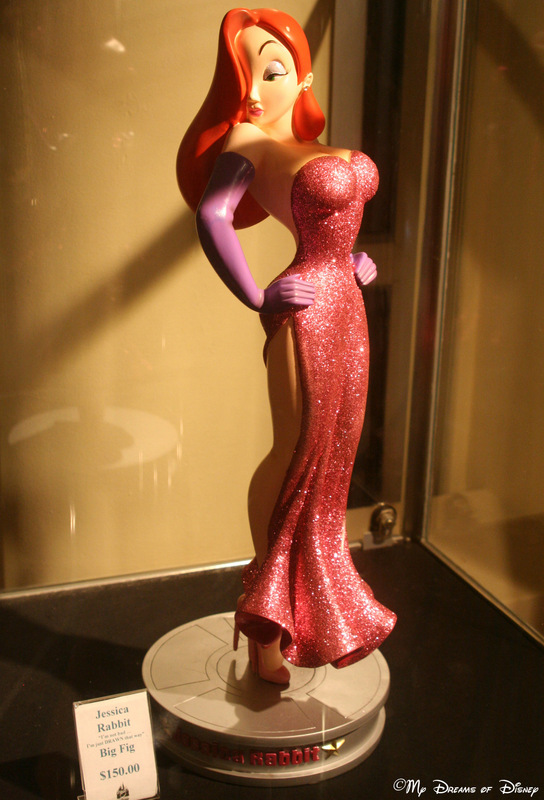 First is Jessica Rabbit, talk about the details! However, at $150, I don’t think I’ll be buying it anytime soon! Jessica Rabbit, as you all know, is from the movie “Who Framed Roger Rabbit?” which was released in 1988, and was directed by Robert Zemeckis (who also directed the Disney movie “A Christmas Carol”, starring Jim Carrey.) Jessica Rabbit, you may recall, was voiced in the movie by Kathleen Turner, so there is plenty of star power there! 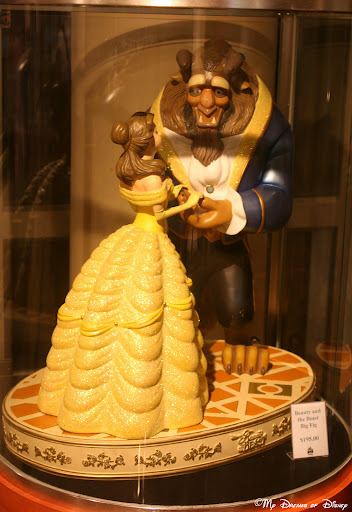 As you can see, this piece is commemorating the special scene where Belle and Beast dance, and the feelings they have for one another start to develop more deeply. This piece is $195, although I wonder if it’s still that price now? Perhaps a Google search will show a lower price? Next Post: Magic Kingdom — Main Street, U.S.A.